Francesca Fedeli and Roberto D'angelo are the co-founders of Fightthestroke.org, a Social Enterprise advocating for young stroke survivors, as their little Mario. Their story is told in the book 'Fight and smile', published by Sperling & Kupfer in 2015. 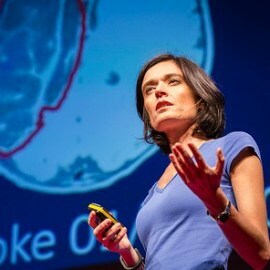 Early diagnosis and new rehabilitation techniques based on mirror neurons (mirrorable.org), savvy usage of tech and neuroeducation are just some of the battles carried out by Fightthestroke, as told in events such as TED global (2013) and World Business Forum (2015). Fightthestroke actively participates in international conversations on scientific and social innovation, inclusive design and accessibility, and serves on the Board of Directors of the International Alliance for Pediatric Stroke; his founders have been selected for the Eisenhower Fellowship on Innovation (2014), the first Italian Ashoka Fellowship (2015) and Global Good Fund Fellowship (2017). Fightthestroke is also TEDMED ambassador for Live events in Italy since 2014, promoter of the first Hackathon in Medicine and proud founders of the first Neonatal and Pediatric Stroke Center in Italy.